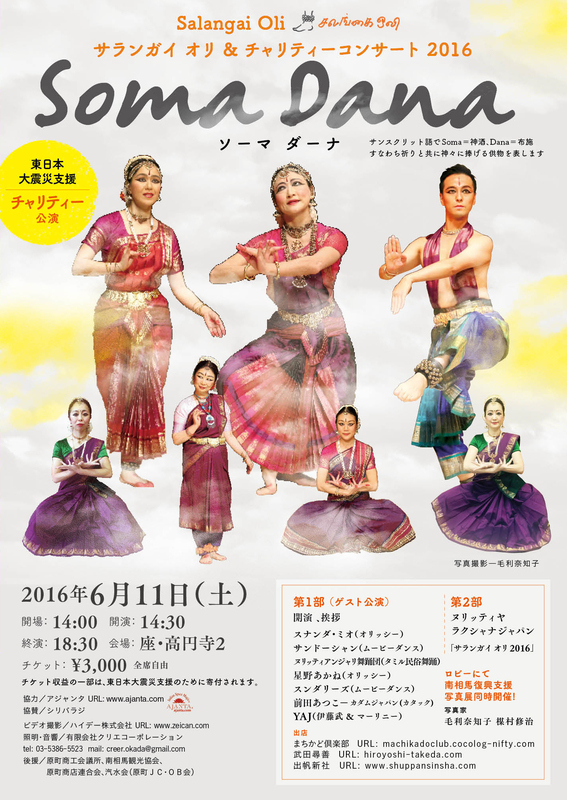 Presented by Saiko Yamamoto/Nrithya Lakshana Japan, the dance performance entitled “Soma Dana” will be held on Sat June 11 in Kouenji, Tokyo. “Soma” means sacred wine offered to the gods, and “Dana” means offering/donation. 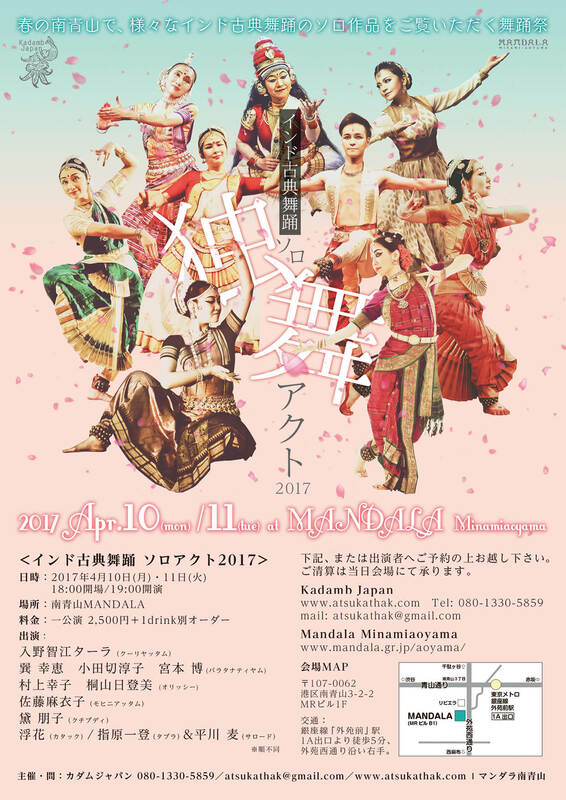 This performance is a fundraising event for those whose lives are still affected by Great East Japan Earthquake. Japan marks 5 years since earthquake, tsunami, and nuclear disasters. 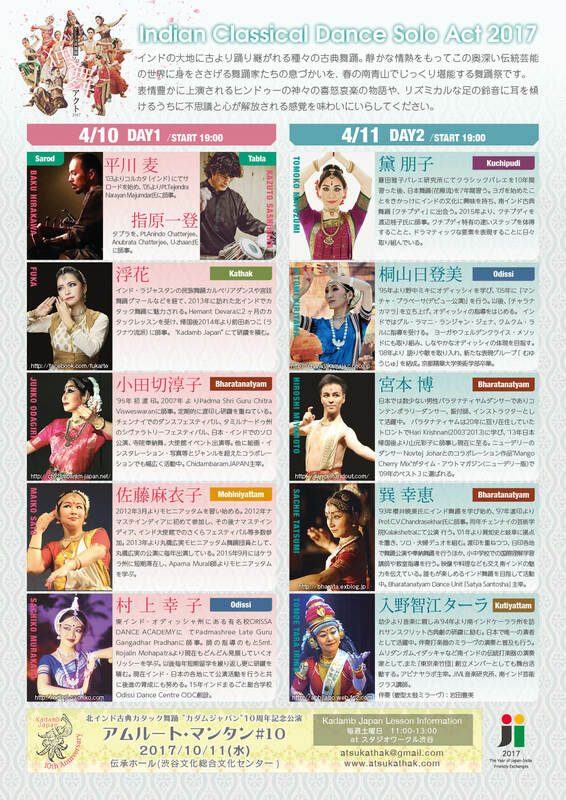 You will enjoy all sort of Indian dance performances by Japanese performers, such as a couple of different styles of Indian classical dances, Bollywood dance, Indian folk dance etc… The photo exhibit will be also held at the lobby of the theatre. Please come join us for this joyful and colorful event. Sat. 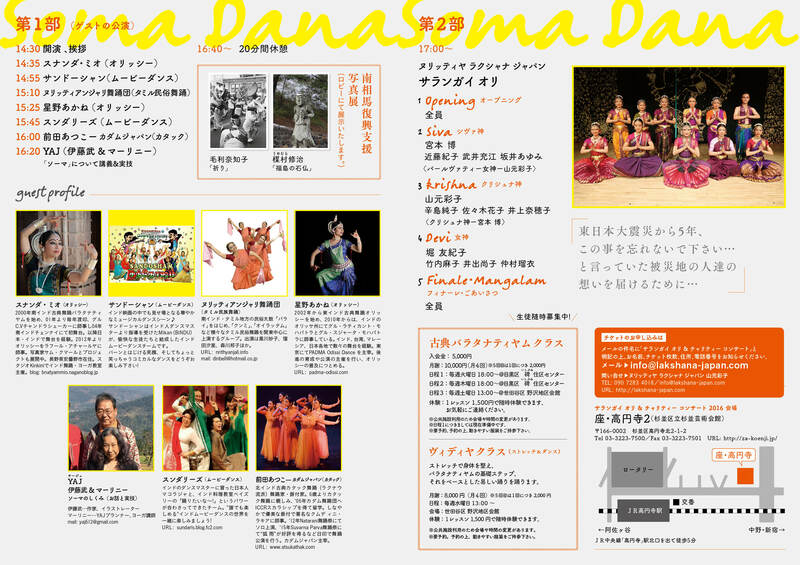 June 11 | 14:30 – 18:30 | ZA-KOUENJI 2 | 3000 yen(general seating) | For the tickets, please click here.